Heated Leather Seats, NAV, Sunroof, iPod/MP3 Input, Remote Engine Start, Dual Zone A/C, Back-Up Camera, ENGINE: TURBOCHARGED 2.0L I-4, EBONY, PREMIUM LEATHER-TRIMMED NON-PE... TRANSMISSION: 6-SPEED SELECTSHIFT AUT... RESERVE PLUS PACKAGE, All Wheel Drive, Turbo, INFINITE BLACK METALLIC, EBONY, PREMIUM LEATHER-TRIMMED NON-PERF HEATED BUCKETS. Reserve I trim, Infinite Black Metallic exterior and Ebony interior. Warranty 6 yrs/70k Miles - Drivetrain Warranty; AND MORE! NAVIGATION, Back-Up Camera, iPod/MP3 Input, Remote Engine Start, Dual Zone A/C, All Wheel Drive, WiFi Hotspot, Smart Device Integration, Blind Spot Monitor, Cross-Traffic Alert, Lane Keeping Assist MP3 Player, Onboard Communications System, Keyless Entry, Child Safety Locks, Steering Wheel Controls. RESERVE PLUS PACKAGE Heated Steering Wheel, Painted Upper Grille, Aluminum Foot Pedal Cover, Heated Rear Seats, Wheels: 19 Satin Finish 10 Spk Machined Aluminum, premium painted pockets, Radio: Revel Audio System w/Single CD & HD Radio, 14-speakers, Tires: 245/40R19, Power Moonroof, EBONY, PREMIUM LEATHER-TRIMMED NON-PERF HEATED BUCKETS Bridge of Weir leather, comfort (10-way) power driver/passenger seat w/four-way power lumbar and recliner and driver seat memory, INFINITE BLACK METALLIC, TRANSMISSION: 6-SPEED SELECTSHIFT AUTOMATIC steering wheel-mounted paddle shifters (STD), ENGINE: TURBOCHARGED 2.0L I-4 (STD). Lincoln Reserve I with Infinite Black Metallic exterior and Ebony interior features a 4 Cylinder Engine with 245 HP at 5500 RPM*. 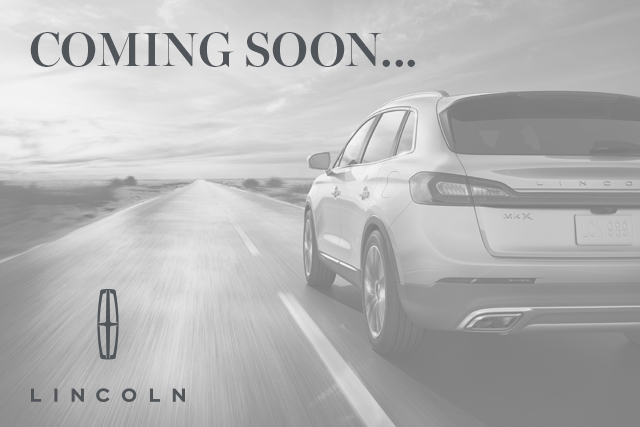 Text me this ﻿﻿﻿﻿﻿﻿﻿﻿﻿﻿﻿﻿﻿﻿﻿﻿2019 Lincoln MKZ from Lincoln of so I can look at it on the go!